The Institute interviews Angelika Końko as she prepares to address the Institute’s forthcoming National Conference: The UK’s Role in Global Forestry. 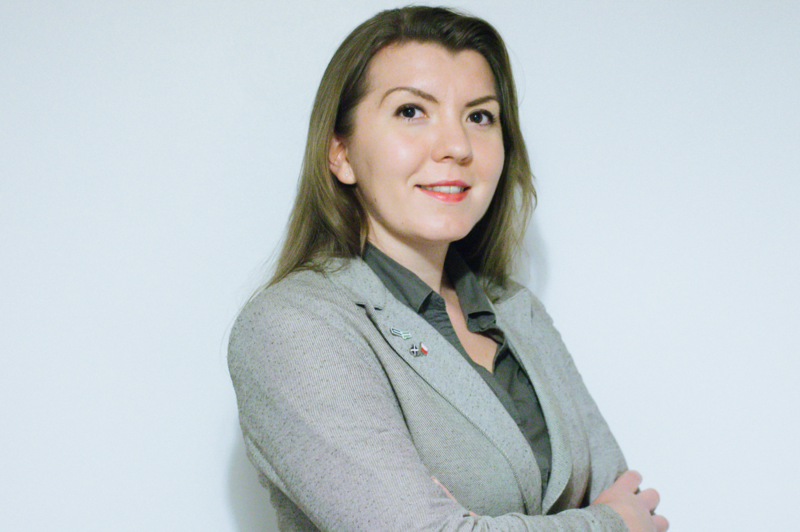 Angelika Końko works for Forest Enterprise Scotland, and is also a graduate of the 2050 Climate Group Young Leaders Development Programme, a world-leading initiative for young people to take action on climate change. Originally from Poland, she graduated with an MSc in Ecotourism from Edinburgh Napier University and has a BSc in Environmental Protection at the Jagiellonian University in Kraków. Both of her final projects explored the ecosystem services approach in conservation and ecotourism development. She has been involved in developing ecotourism activities in Poland and Iceland. Angelika started her career in the Forestry Commission’s Graduate Development Programme in 2014, a two-year, training intense scheme for individuals with the potential to become future leaders. It was this opportunity that sparked her passion for the forestry sector. She will focus on the work of the 2050 Climate Group but also the Forestry Commission Graduate Development Programme. More and more millennials and post-millennials are motivated to seek meaningful, green jobs with organisations that have a positive impact on the world. Forestry, among other green industries, is a constituent element of the solution to the biggest single issue facing humanity – climate change. For the past three years, I have been involved in the work of the 2050 Climate Group. This youth-run charity (18 to 35 year-olds) empowers young people to take action on climate change via the Young Leaders Development Programme and other initiatives like Malawi’s Climate Leaders partnership project. The group fights for the young generation to have a place at the decisions table and for our voice to be heard in discussions about our future. Yet, youth participation in forestry matters seems pretty low. It’s the young people of today that will shoulder the responsibility of dealing with the effects of climate change for many years. It seems clear to me that promoting forestry’s role in mitigating Climate Change might be one of our sector’s strongest magnets in attracting young people. New talent, new ideas, new drive, and determination are all waiting to be harnessed – all we have to do is provide the opportunities for those young people to join us. Exploitation. The resource is renewable but it’s not limitless. I cannot stress strongly enough the importance of sustainable forest management to ensure the availability of this resource for future generations. Ensuring the multipurpose character of forestry by management that continuously balances the various benefits people derive from forests (not solely prioritising against what’s only currently easily translatable into a monetary value) is key. Despite the recent FAO assessment (SOFO 2018) indicating positive change towards sustainable forest management, currently, only a small proportion of world’s forests is managed sustainably (504 million ha under PEFC/FSC certification; approx. 12% of world’s forests). To drive this positive change forward we need skilled leaders who ‘really get’ what sustainable development is about. The UK is second only to China in terms of net imports of timber and wood products and this trend is projected to go only upwards. Appropriately increasing woodland cover in UK (‘the right tree in the right place’) to minimise carbon emissions associated with imported timber and ensuring all imports come from certified forests should act as two drivers to promote sustainable forest management worldwide. Having lived all my adult life in Scotland I have never worked in the forestry sector in my home country. However, I am very aware of the cultural difference towards forestry in Poland and the UK. Polish foresters and hunters have an incredible knowledge of the forest ecology and silviculture, passed on by generations. We, Poles, learn about forests from an early age, with trips to nurseries and national parks being an integral part of our curriculum. Establishing that deep connection with nature and forests is something others could learn from us! Being a member of the last generation raised without mobile phones I always loved spending time outdoors. The wild camping trips with my parents, fishing and mushroom picking (favourite pastime of many Poles), definitely had something to do with that! The exact same day I submitted my BSc thesis on the crucial role played by the urban eco-parks in connecting people with nature (over 66% of the world’s population is predicted to live in urban areas by 2050), I was sitting on a Scotland-bound plane with an image far from the post-communist district of Kraków, where I lived as a student. The Future Job Fund, aimed at young people seeking early employment, provided me with an opportunity to assist the Scottish Wildlife Trust with practical nature conservation. I got my chainsaw certificate and managed access at nature reserves around Edinburgh. It was the Falls of Clyde Nature Reserve that got me thinking about an MSc in Ecotourism, which in turn led me to the Graduate Development Programme with the Forestry Commission, where I have worked in various roles for the past five years.